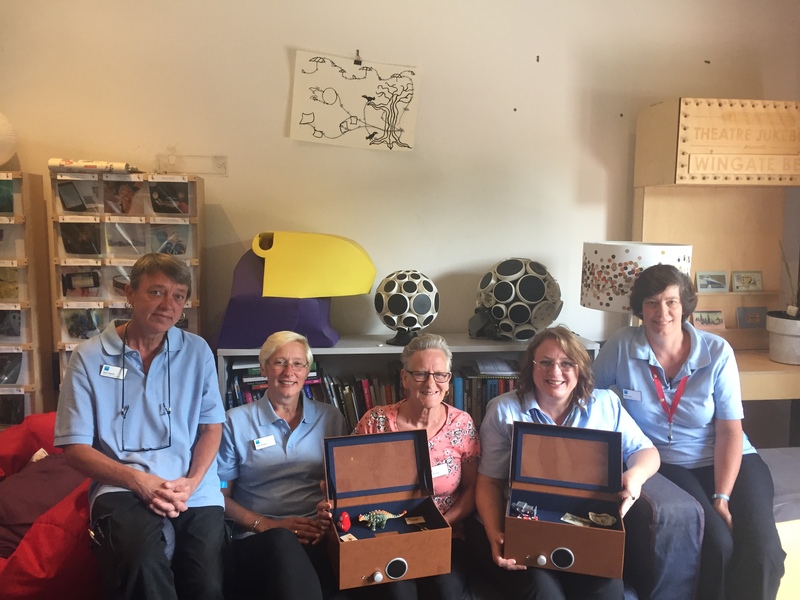 This month, some of the lovely activities staff from Bupa’s Amerind Grove Care Home came to learn about Music Memory Box pilot and how they can use it with their residents. Amerind Grove is a large care home in Ashton, Bristol with a specialism in Alzheimer’s and dementia care. 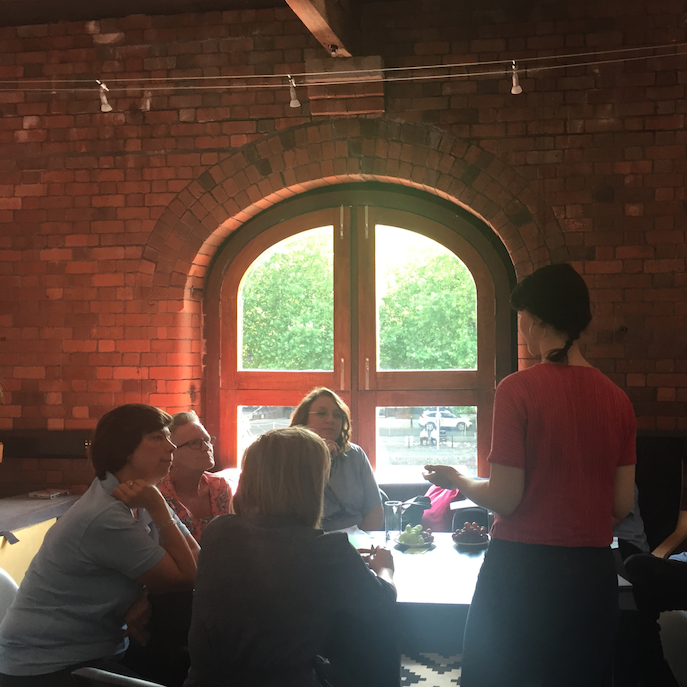 During the session, we discussed the relationship between tactile objects, music and memories, thinking about how objects and music can be used to evoke a resident’s past memories. It was really interesting to hear the staff’s own memories and what music they associate with these. One staff member said that an object of hers would be her silk wedding gloves, with the song she associates with it, Evergreen by Barbara Streisand. We also discussed what music and objects could evoke memories for their residents. One resident used to have a job in the Wills cigarette factory in Bedminster. As they worked they used to sing songs. An object for her could be a cigarette packet or some matches, with the accompanying music being one of the songs sung in the factory. The Amerind Grove activities staff are now fully trained in Music Memory Box! A resident whose father was a florist was mentioned as an example, with a discussion of what object could help her recall this – a silk lily – as lilies are her favourite flowers. Another example discussed was how a scarf, perhaps worn on a much-loved holiday, coupled with music reminiscent of walking along the prom, could be a reminder of that holiday. 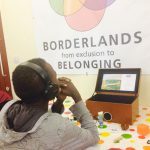 It was really exciting to see how people who work day-to-day with those living with dementia saw the potential uses and benefits that Music Memory Box can have. We’re also delighted that we have our first fully trained Music Memory Box facilitators.